Boutique hotels in London come in all sorts of guises. From the elegant to the shabby chic and the grand period rooms to the ultra modern there is something to suit all tastes and budgets too. 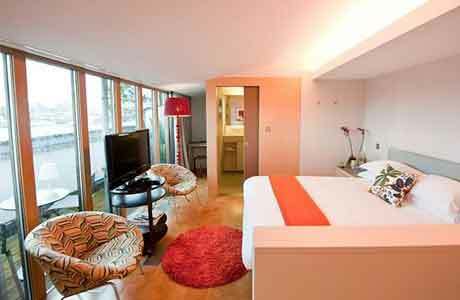 You may be surprised to find out that some of these hotels in London can be quite affordable but give you a fantastic place to stay and remember your trip by. 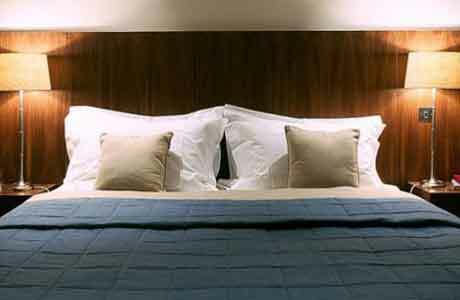 I have chosen these hotels for their style, top reviews and price, I really do think that they are some of the best the city has to offer. So whether your here for London Museums, theatre shows, history or simply for business, take a look at these fantastic Boutique hotels in London and find something to make your stay here a memorable one. 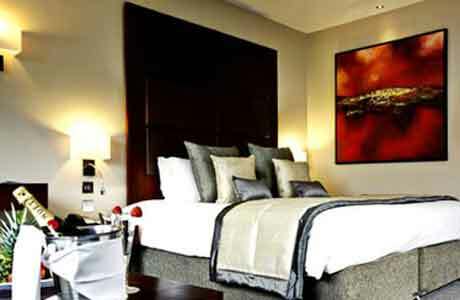 This stylish hotel in the centre of one of London's trendiest areas comes with all the luxurious feel of an expensive hotel but at an affordable price. London can be a chaotic place and so you need somewhere to chill out after a busy day out, this hotel provides that. Some of the features of the hotel are a roaring fire, leather sofas and a vibrant bar and grill all set in a stylish setting. the Hoxton area of the city is known as the artist quarter with galleries and trendy bars a plenty but hey take a look at this video which will give you a better idea of the area and the hotel. This boutique hotel has been voted in the past as one of the world's '50 coolest hotels'. the hotel was set up in 2004 by restaurateurs Michael Benyan and Mark Sainsbury in a Victorian warehouse building once used by the Zetter Pools company. 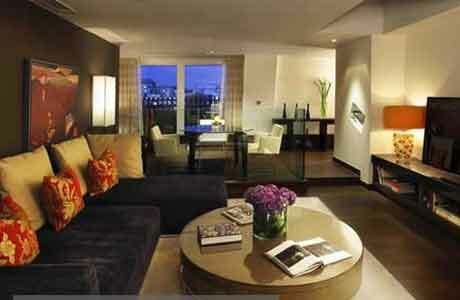 This hotel is right next to St Pauls Cathedral in the heart of the London's business district. 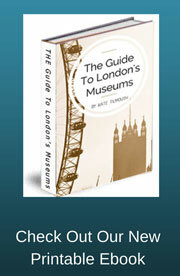 However this is only a stones throw away from many London Museums and attractions. If you are looking for a hotel with a luxurious feel which can provide the latest technology and comforts of a top modern hotel and this is the hotel for you. The hotel boats a huge internal Atrium which contains many bars and restaurants so you needn't stray far in the evening to find fine food and entertainment. This boutique hotel is different from the others in the respect that the rooms are small apartments which means that you have your own kitchenette. 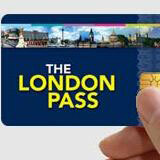 This can be very convenient when you are staying in London for a few days or longer. 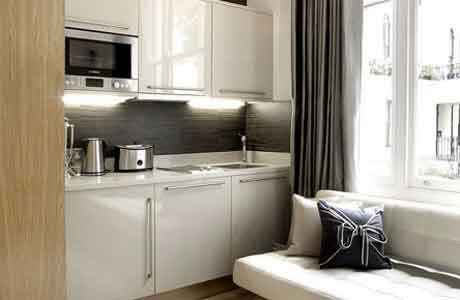 The fact that you are able to cook in your own apartment can be very cost saving in the long run as eating out every night in London can be very expensive. 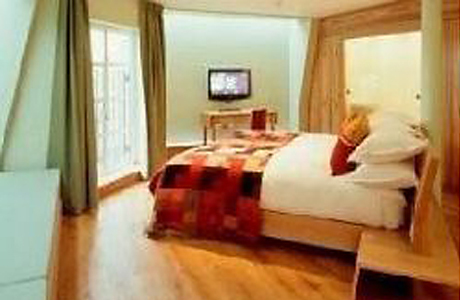 The hotel is situated near to Hyde Park and is decorated to a high luxurious finish. Slap bang in the centre of town in Trafalgar square this stunning boutique hotel is unique in so many ways. 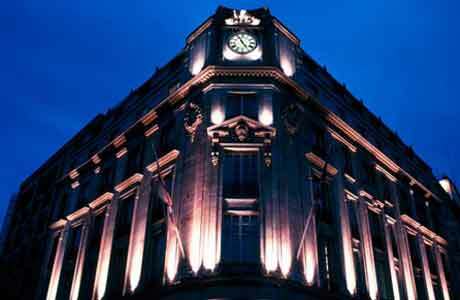 The building itself is iconic as it was once home to the Cunard shipping company and where the news of the loss of the Titanic was first heard. One of the main speciality features of this hotel is it's luxurious Sky bar which overlooks Nelsons column and many other London landmarks. 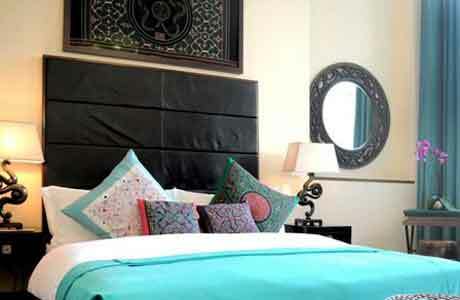 It is a hotel with a history and a vibrant present which provide a stylish and luxurious stay for all its visitors. 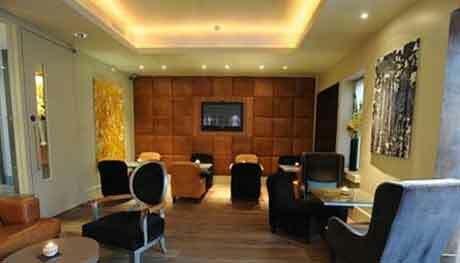 A great location with luxurious surroundings, a real spoil yourself hotel. Not all boutique hotels cost the earth and this one shows that perfectly. 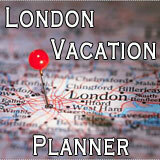 A reasonably priced hotel for its central London location and stylish rooms. The rooms are designed to make your stay as restful as possible, from the vintage unique wallpapers to the finest quality cotton bed linen and spa treatment room. 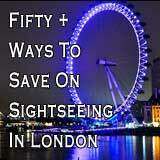 Boutique hotels in London at these prices and quality are not that common, so this is worth a look. A very chic hotel with a very surprising interior from it's external appearance. The hotel is situated a little out of the centre of London but still a great base to explore London and the rest of the country from. A Georgian house exterior hides the very modem and bespoke luxurious interior which boats a lovely garden, great for those long suffer evenings with a tall drink from the bar. Boutique hotels in London don't come more chic than this. 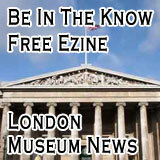 This hotel in London is particularly good if you are looking at visiting three of the best London Museums, the Victoria and Albert, The Natural History Museum and the Science Museum are all close by. The style of the hotel is Traditional English mixed with contemporary style and flare and the hotel prides itself on its levels of service. The hotel can offer its visitors a luxurious stay which includes access to a garden to relax in after a busy day at the museums. Described by many as a sanctuary in the city a real place of tranquillity against the backdrop of a busy city like London. It provides Boutique styling with affordable prices at a location perfect for those using the Euro star. 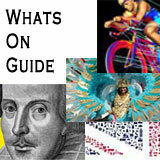 Nearby museums include the Wellcome museum, Petri and grant museums and not far from the famous Bristish Museum. If you're looking for boutique hotels in London with lots of relaxing facilities in an area of London which has retained much of its original village feel then this hotel could be for you. The hotel facilities include a health club with pool and spa, add this to its luxurious surroundings and service and you will be guaranteed a great stay. I would note that the manager seems to always respond to reviews of his hotel on trip advisor which is a sure sign of good service. These are just a few of the best boutique hotels in London but I hope you agree they are all that you could wish for during your stay.